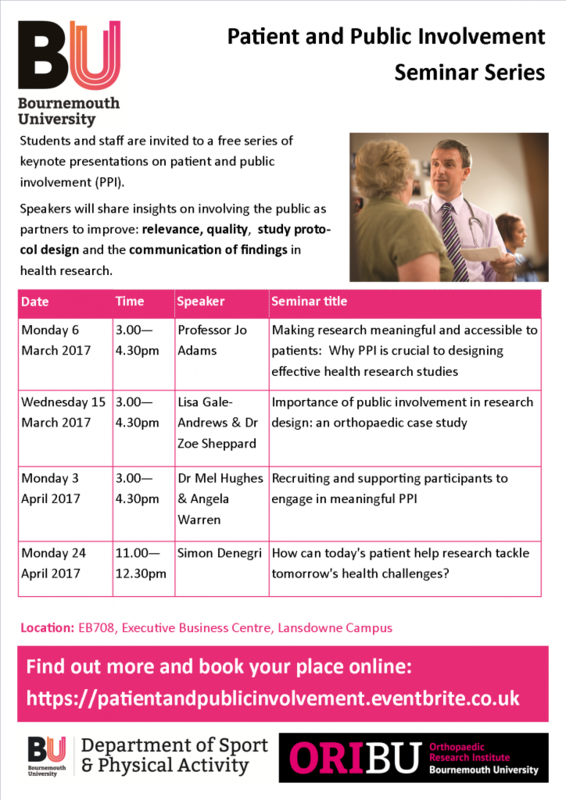 Bournemouth University will be hosting a Public Involvement seminar series throughout March and April, which focusses upon the public/patients working with staff to: 1) prioritise research; 2) advise upon project methodology; 3) design recruitment campaigns; 4) develop research materials; and 5) promote the impact of findings. Patient and Public Involvement (PPI) has broad application to research beyond Health and Social Care, allowing the public actively act as participants. Direct benefits to researchers include: ensuring research quality, credibility and relevance; public accountability and insights; and enhancing research funding. Students, staff and the public are invited to the seminar series. UGR and PGR students attending three or more seminars will be eligible to apply for an opportunity to run their own PPI advisory group with hip-replacement patients. This will be supported by ORI and the Department of Sport and Physical Activity, and has ongoing potential for conference presentation and journal article preparation. How can today’s patient help research tackle tomorrow’s health challenges? Power to Change, a community enterprise support organisation, has launched a new £10 million Community Business Fund, which will provide grants of between £50,000 and £300,000 to community enterprises in England. 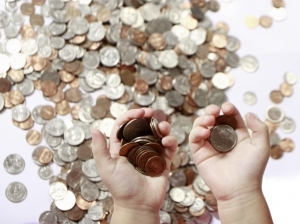 The funding is intended to increase the social impact of community enterprises and support them to increase trading income, secure assets or reduce costs.